Home - Asheville Engine, Inc.
Asheville Engine has built a solid reputation as being the most recommended place to go when you need a Navistar International and Ford Powerstroke diesel engine. 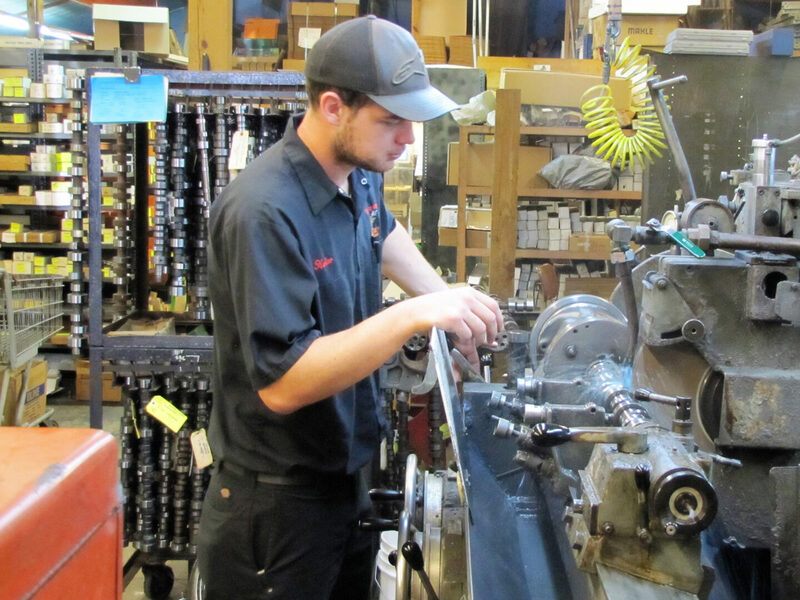 All of our Navistar/Powerstroke diesel engines are built with new parts, a balanced crankshaft, connecting rods and piston sets by highly trained, experienced machinists and engine builders using American made parts. Unlike other companies who want you to "Call for pricing", we make your decision easy by clearly posting all of our prices, including upgrades, on each of our engine pages. 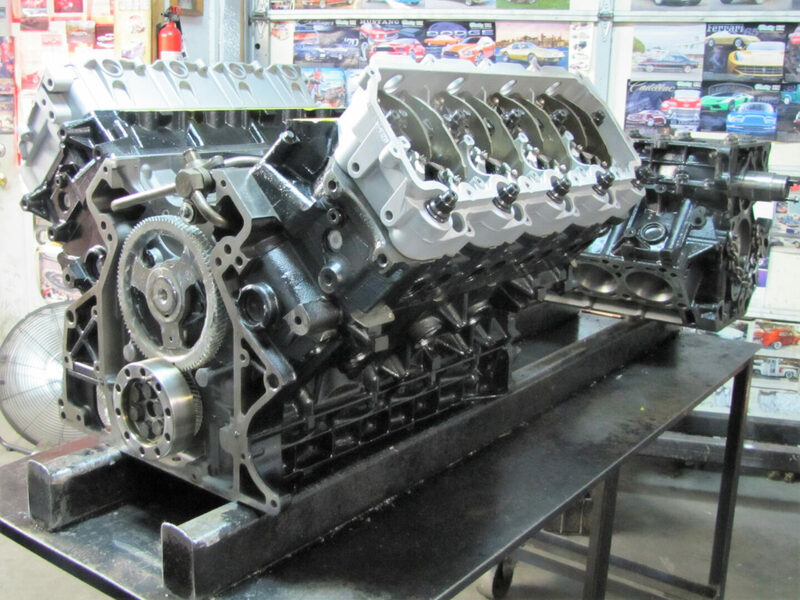 With the information that we provide, you can build your own engine, knowing exactly what the price will be. Our lead time, from the time that you place your order to the time that your engine is shipped, is generally from 2 to 6 days. International shipping is available. Asheville Engine is proud to say that our re-manufactured diesel engines are powering trucks in Canada, Australia, Guatemala, Denmark, Iceland and other countries around the world. Full cleaning process, block is cleaned, all oil galleys and passages are blasted out and brushed cleaned. Block is measured and honed to match rings. It is painted with high temp paint. Both cylinder heads get magna-fluxed to check for cracks and then pressure checked. Cylinder heads are re-surfaced (milled) on a CNC machine and a complete valve job is done including new guides and seals. Rocker boxes are cleaned and sand blasted. Crankshaft and Camshaft are measured and polished. New Clevite bearings, new Mahle pistons, new roller lifters, new push rods are installed. Victor Reinz Black Diamond head gaskets are installed. All the factory cylinder head bolts are replaced with ARP Head Studs on the 6.0 Powerstroke and on the VT365 Navistar engine. 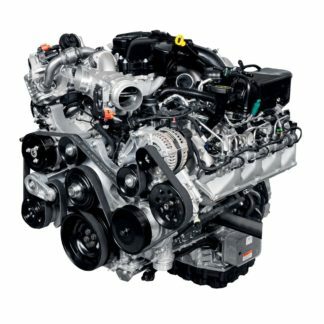 By re-manufacturing only the Navistar International and Ford Powerstroke diesel engines, we stock fewer parts, we keep our overhead low, and we pass the savings on to you...and by building only Ford Powerstroke / Navistar engines, we are very good at what we do. *Don't be fooled by lower prices! 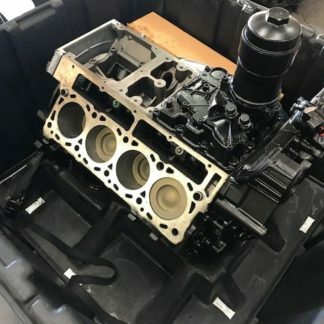 The money that you save may be due to other engine builders installing "used" internal parts which will reduce the over all life of your engine. Some may tell you that they use all new parts but read their web sites carefully. There is a huge difference between remanufactured and “refurbished” or “rebuilt”. Remanufactured means that all of the machining is done and all of the wearable parts are replaced. Refurbished and rebuilt means that only the machining and parts that are necessary to fix the problem are done. In that case you are buying a used engine that has been fixed. I've been getting 20 or more engines per year from Asheville Engine for several years now and we have never had a problem with any of them. I did receive one that was damaged in shipping that Rob, the owner, personally took care of, even though he didn't have to...so when you ask about someone's personal or business reputation, one thing is for sure, Asheville Engine builds the best motor in the USA. We stand behind Asheville Engine 100%!!! I have to echo the statement on your website. You may not be the cheapest engine, but I firmly believe that it would be difficult to find a better built engine. It would also be difficult to find a better group of people to do business with. I know enough to work on cars but I'm far from a diesel mechanic. Rob and Mat answered all of my silly questions without making me feel like an idiot. You can't beat the customer service and you can't beat the engine. Thank you all for the help in getting my truck back on the road. Just a short note to tell you, thank you! I'm 67 and retired and I bought my 6.0 brand new in 2006. When my 3rd grandson was 10, he asked "Granddad, when I turn 16 can I have your truck?" and I said "sure." Never would I have ever dreamed that I would buy 3 more and build them up for all of my grandsons! Y'all have made the experience the fun that it was supposed to be. No hassle, patient with me, and help in clearing up the fog in my head (remember, I'm 67). I have one more truck to do but I hope that I don't have to call (no offense but this is getting expensive). Thanks again to everyone at Asheville Engine! I just want to give a BIG shout out to everyone at Asheville engine. I got their over bored long block with a stage 2 cam and my truck runs stronger than it ever has. I am absolutely in love with the performance and superior quality that they put into every motor they build. 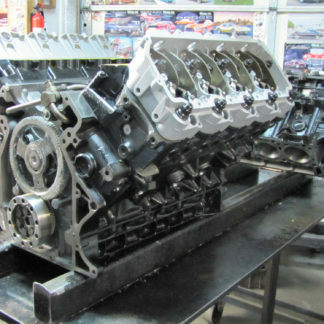 If you're in need of a quality long or short block, Asheville Engine is the best place to get yours. I have 4000 miles on my new motor...and I love it! !